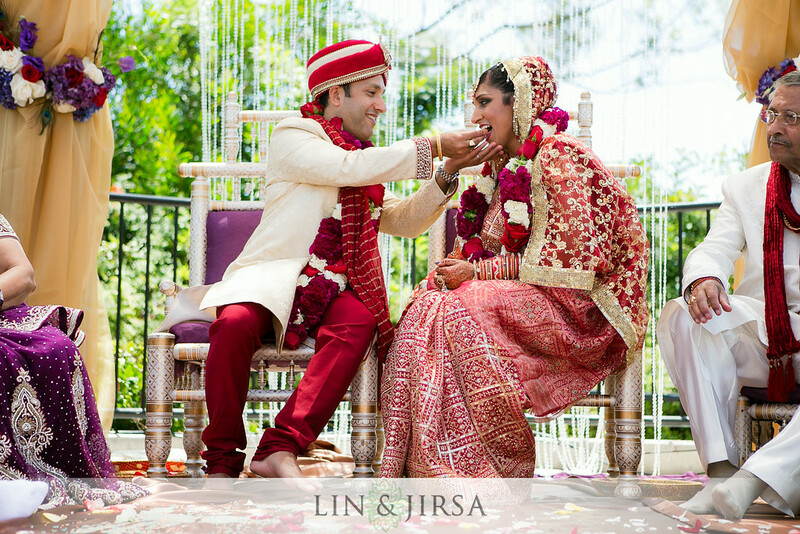 The Bride and Groom are required to be fasting during the actual day of their wedding ceremony. This obligation may be broken due to circumstantial events, however since the day is so closely revolved around the Hindu religion, it is important to maintain the fast. 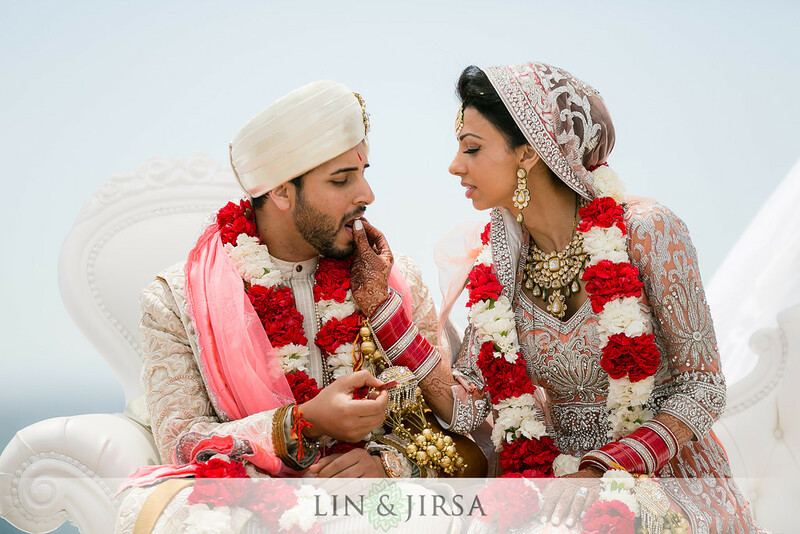 Kansar, an Indian sweet made from crushed what, sugar, and clarified butter, is brought out by the Mother of the Bride and offered to the couple. 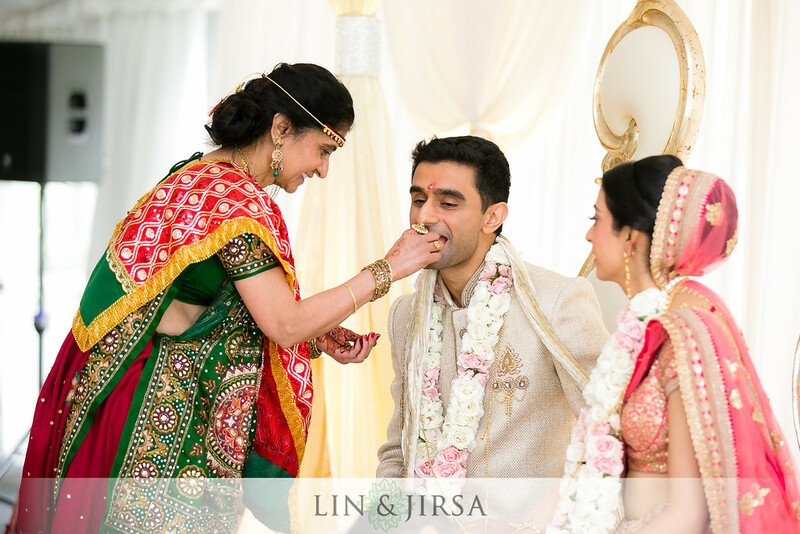 Towards the close of the ceremony, right before the couple seeks the blessings of their relatives and friends (also known as Ashirvad), the Bride and Groom feed each other their first bite as newlyweds and also their first “meal” of the day. 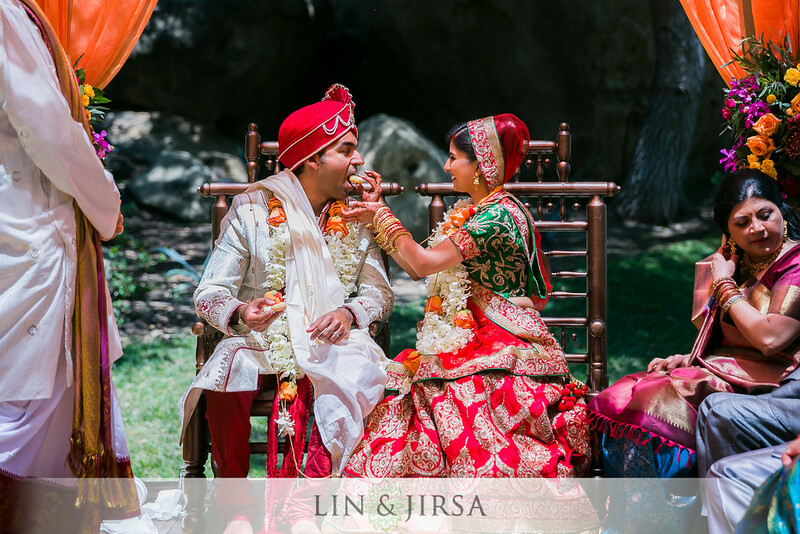 The traditional form of this ritual requires the Groom to feed his bride by placing his arm around her shoulder and reaching for her mouth, a moment that leads to a candid display of laughter and affection. 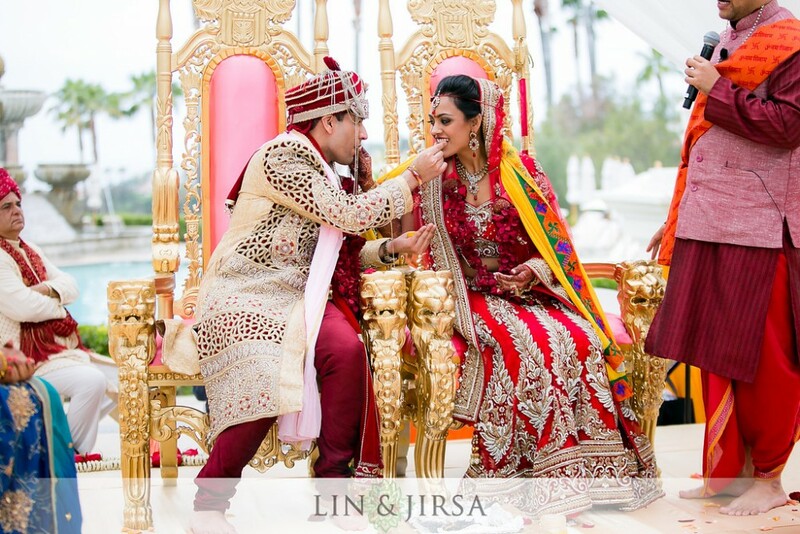 Many times, since the Mother of the Bride is offering the tray of sweets to the couple, she invites the Mother of the Groom and they take turns feeding the newlyweds. 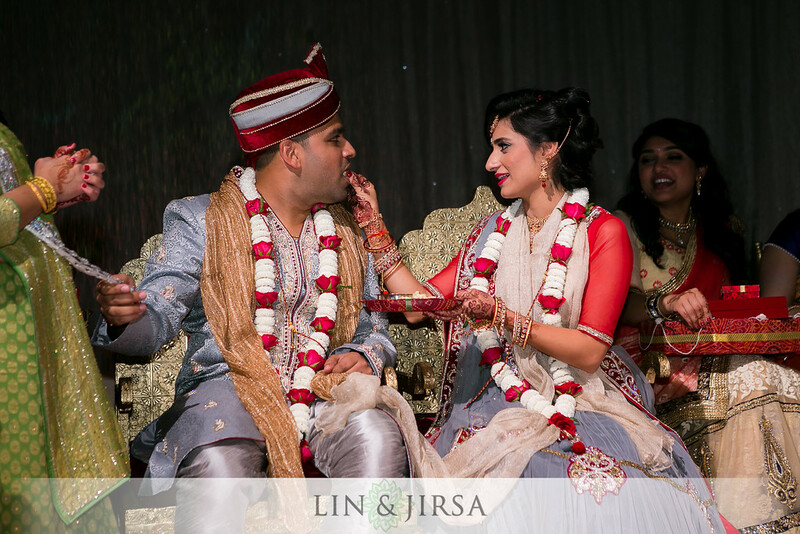 This portion of the ceremony is conducted to symbolize that the couple must now share everything equally with each other.